01.06.18 18:08;Account;Receive;Received Payment 23.00 USD from account U15894671 to account U1294000. Batch: 216765708. Memo: API Payment. Withdraw to all-hyips.info from usd.twino.io. 31.05.18 20:09;Account;Receive;Received Payment 23.00 USD from account U15894671 to account U1294000. Batch: 216366429. Memo: API Payment. Withdraw to all-hyips.info from usd.twino.io. 04.06.18 21:23;Account;Receive;Received Payment 1.00 USD from account U15894671 to account U1294000. Batch: 217048972. Memo: API Payment. Withdraw to all-hyips.info from usd.twino.io. 04.06.18 21:23;Account;Receive;Received Payment 22.00 USD from account U15894671 to account U1294000. Batch: 217048958. Memo: API Payment. Withdraw to all-hyips.info from usd.twino.io. 06.06.18 19:34;Account;Receive;Received Payment 23.00 USD from account U15894671 to account U1294000. Batch: 217230362. Memo: API Payment. Withdraw to all-hyips.info from usd.twino.io. 07.06.18 20:49;Account;Receive;Received Payment 23.00 USD from account U15894671 to account U1294000. Batch: 217333174. Memo: API Payment. Withdraw to all-hyips.info from usd.twino.io. 09.06.18 19:17;Account;Receive;Received Payment 23.00 USD from account U15894671 to account U1294000. Batch: 217521785. Memo: API Payment. Withdraw to all-hyips.info from usd.twino.io. 08.06.18 19:22;Account;Receive;Received Payment 25.5 USD from account U15894671 to account U1294000. Batch: 217424888. Memo: API Payment. Withdraw to all-hyips.info from usd.twino.io. 12.06.18 18:15;Account;Receive;Received Payment 23.00 USD from account U15894671 to account U1294000. Batch: 217790864. Memo: API Payment. Withdraw to all-hyips.info from usd.twino.io. 11.06.18 19:03;Account;Receive;Received Payment 23.5 USD from account U15894671 to account U1294000. Batch: 217697464. Memo: API Payment. Withdraw to all-hyips.info from usd.twino.io. 13.06.18 19:48;Account;Receive;Received Payment 23.00 USD from account U15894671 to account U1294000. Batch: 217898149. Memo: API Payment. Withdraw to all-hyips.info from usd.twino.io. 14.06.18 20:22;Account;Receive;Received Payment 46.00 USD from account U15894671 to account U1294000. Batch: 217999542. Memo: API Payment. 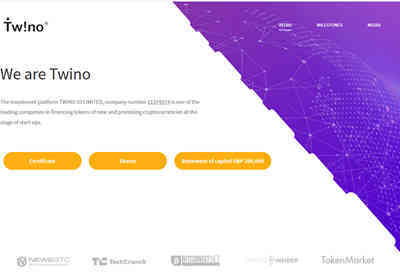 Withdraw to all-hyips.info from usd.twino.io.